Morgan James Publishing, 9781630474836, 178pp. Big companies find it almost impossible to do new things despite their leaders knowing this may eventually be their downfall. 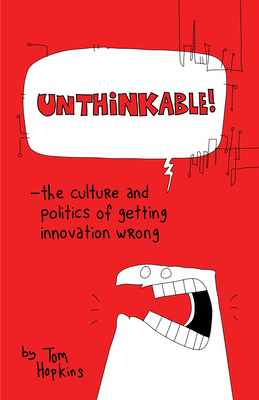 Unthinkable shows why companies are like this and how they can do innovation better. Tom Hopkins is a digital, creative, and design business leader, holding senior positions in many of the world's most influential companies. While writing Unthinkable, he was principal consultant at Fluxx, a product and service innovation company in London. Hopkins now serves as product innovation director for Experian Consumer Services.